Summary: It’s been said before there is no tablet market, just an iPad market. However, 2011 started showing that wasn’t true and Android is making gains in the tablet space. Rachel already posted some of the data from the recent tablet market report from Strategy Analytics, but I wanted to chime in with some thoughts from the Mobile Gadgeteer as well. I love and use my iPad 2 all the time, but after filling a role as the tech editor for an upcoming Galaxy Tab book I have to say that the Samsung Android tablets are quite good and likely going to get even better with Ice Cream Sandwich. 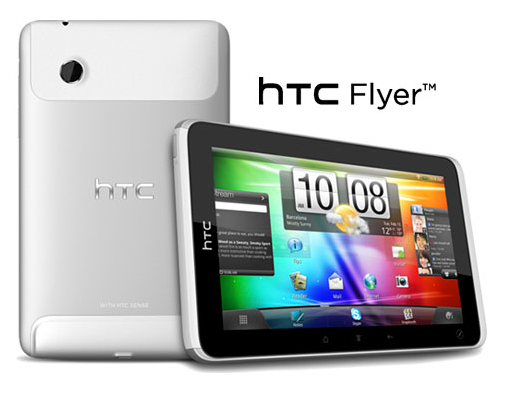 I do own an HTC Flyer and find it to be a valuable tool for note taking and portable media needs. Honeycomb didn’t impress me too much though and I still have Gingerbread on my Flyer. According to the Strategy Analytics report, Android garnered 39.1 percent of the global tablet share last quarter. This is great considering they were at 29 percent in 2010. Apple still leads with the iPad at 57.6 percent, but that is down from 68.2 percent in 2010 so Apple can’t sit around and not worry about Android. Customized Android interfaces, such as those found on the Amazon Kindle Fire and Nook Tablet, are popular and these two low cost Android devices likely were significant in improving the sales data for Android tablets. We are starting to see other Android tablets come out with unique forms, the Samsung Galaxy Note, and at more competitive prices so it is likely we will see continued growth in Android tablets like we have seen with their smartphones as well. We will also see Windows 8 coming later this year and the tablet race is far from over. Do you use an Android tablet and did you buy one in 2011 to help increase the market share?